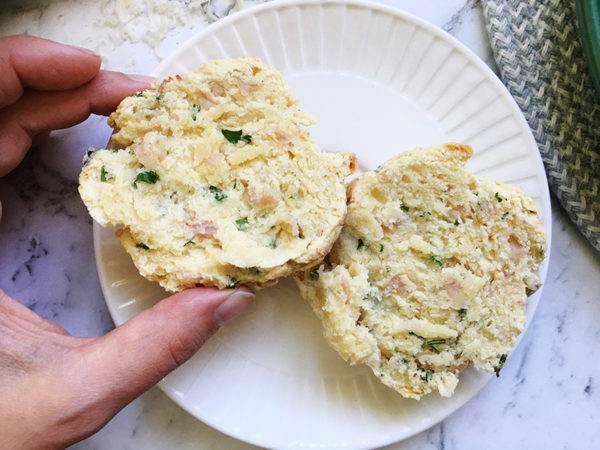 With that same damper-like taste from childhood, with all the soft doughy texture of a scone, these savoury delights are sure to be a hit with the kids. 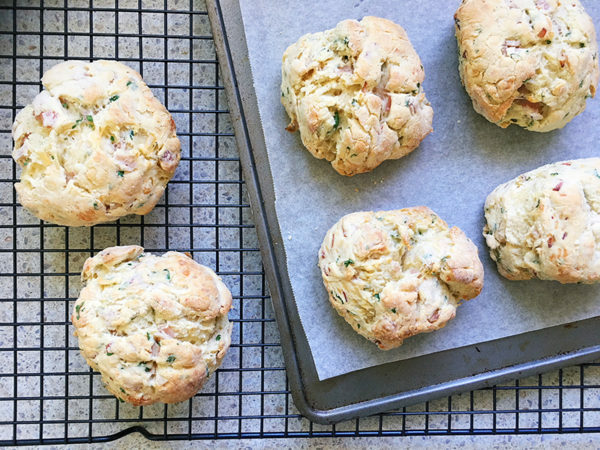 Eat them cold or warm and buttered (which frankly, is ridiculously delicious). 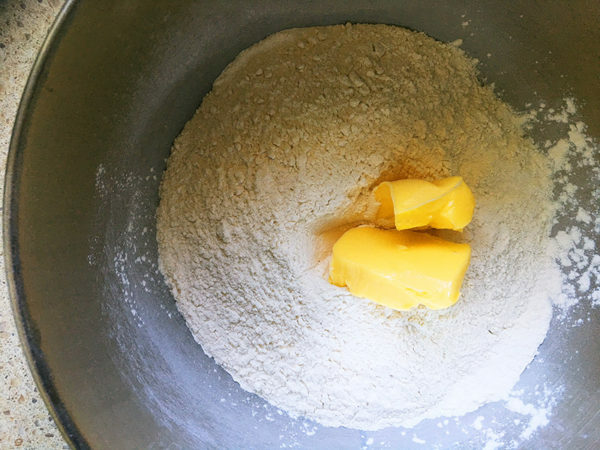 Sift the flour and salt into a large mixing bowl. 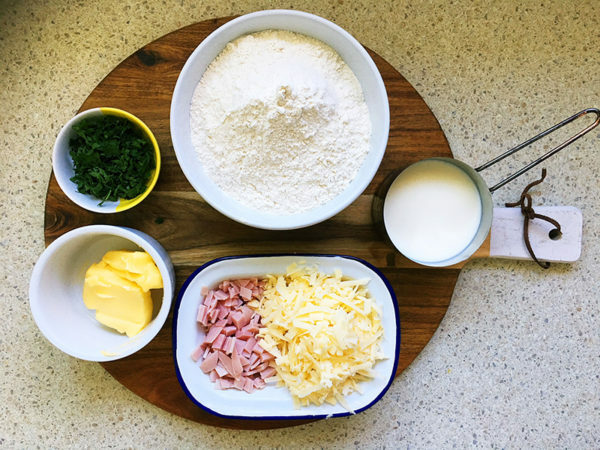 Add the butter and rub the flour and butter between your fingers until the mix resembles fine breadcrumbs. 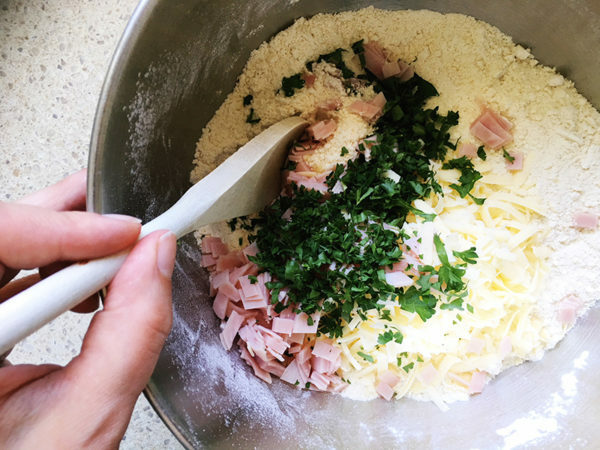 Add the cheese, ham and parsley. Stir to combine with the flour mix and make a well in the centre. Pour the milk into the well. 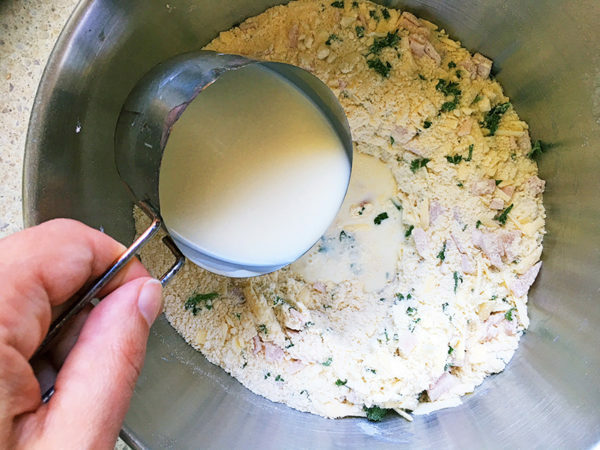 Using a butter knife, mix the dry ingredients with the milk until just combined. Resist over mixing! Dust a clean bench with flour. 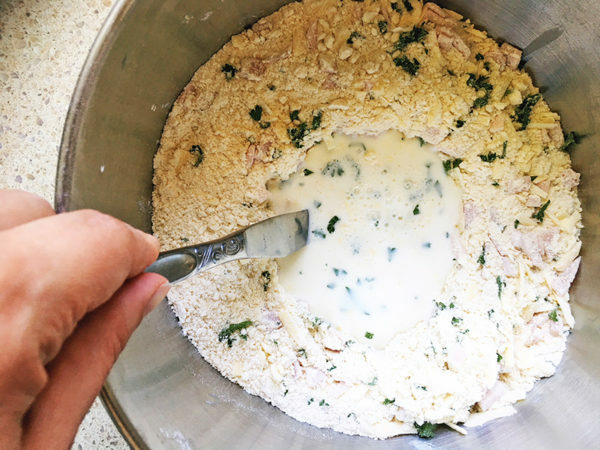 Turn the mixture onto the bench and knead together lightly. 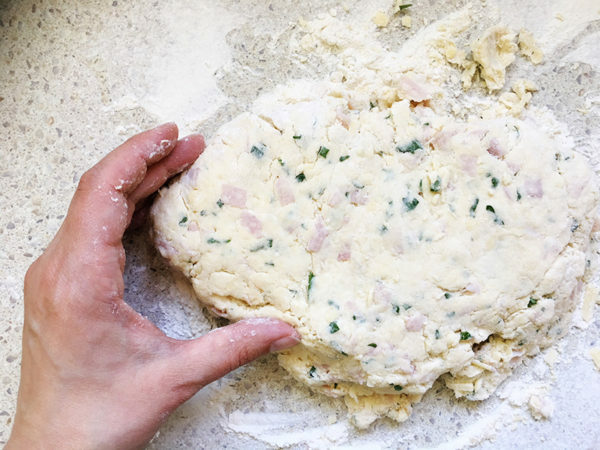 Shape the dough into a round disc and divide into six portions. 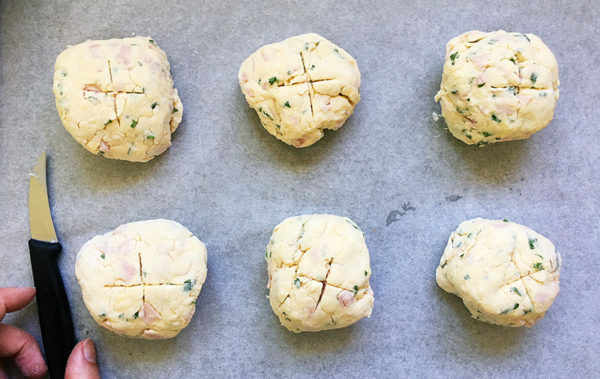 Roll each portion into a ball and place on the baking tray. Score the top of each ball with a knife. Cook for 15 minutes until turning golden brown. Transfer to a wire rack to cool completely – or do as I do, and sneak one with a healthy (ha!) layer of butter. Yum!